BRIGHTON, Mich.- We're just a few short days away from the madness that is Super Bowl Sunday! And we all know by now that it's not Super Bowl Sunday without some tasty game day snacks! In fact, the Super Bowl is actually the second largest chow fest in America, just behind Thanksgiving. So whether you're hosting a party or just watching the game with your family, get ready to eat. Check out our Top Super Bowl Sunday Snacks for your enjoyment! When it comes to Super Bowl Sunday Snacks, you can't go wrong with a good dip, so grab your chip and take your choice! 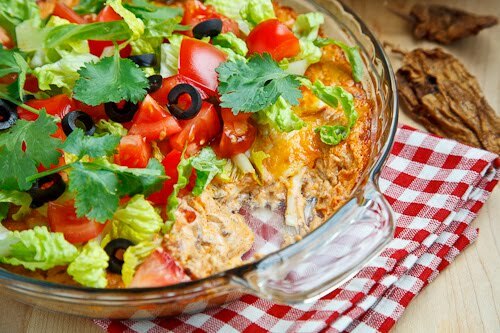 The Classic Taco Dip is always a safe bet for a pre-game treat. Or you could opt for the recently popular Buffalo Chicken Dip if you want to guarantee an empty platter before the game even ends. If you're looking for a dip that takes your taste buds in a different direction, don't forget about a Hot Spinach and Artichoke Dip. You can't go wrong with a great dip at a Super Bowl Party, just remember to bring enough chips! 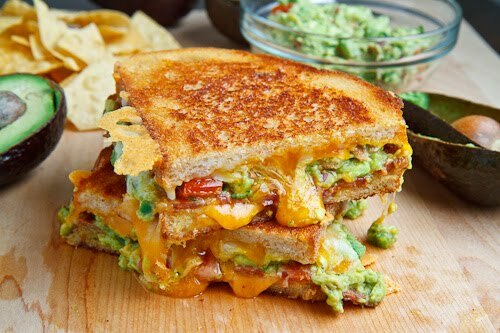 If you aren't full from snacking and are looking for something with a little more staying power, try not to drool on your keyboard over this Bacon Guacamole Grilled Cheese Sandwich. This Super Bowl Sandwich is a great alternative to a burger, and will definitely have all of your guests raving! Or, you could always whip up some Pulled Pork in the slow-cooker and you've got warm sandwiches all game long. For these Top Super Bowl Sunday Snacks and more, check out Closet Cooking. May your Super Bowl Snacks be a hit and may the best team win, but don't forget to stay safe this Sunday! Your Livingston County Ford Dealer is located at 8240 Grand River Ave. just north of I-96 in Brighton. We are a family owned and operated business that strives on customer satisfaction. For more information on Brighton Ford visit BrightonFord.com or give us a call at (800)-836-8206.